High power rifle shooting was originally based on courses of fire for military instruction. 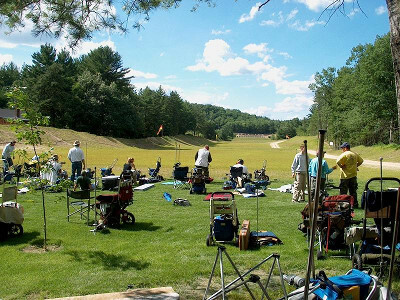 Today’s courses still include both slow and rapid fire stages shooting from the standing, sitting and prone positions. All are fired on fixed targets of standard dimensions at 200, 300, 500 and 600 yard distances. On Leveridge we fire various types of Matches that your scores go towards earning your NRA and CMP Classifications for these different types of matches. Please review the Courses of Fire Section for more info on each of the types of matches we fire. Plese see the Leveridge Range page to to review the courses of fire for High Power Rifle and the other activities at that range.